Inspector. Graphics are my design and artwork. Thanks. The United Kingdom Budget statement is made by the Chancellor of the Exchequer, a member of the Government who is responsible for all economic and financial matters. He controls HM Treasury. ands the revenues gathered by Her Majesty's Revenue and Customs and the expenditure of public sector departments and can raise taxes and duties according to the needs of the economy. After the Prime Minister he is the most important state officer. The Budget is normally an annual event in March, but in more recent times a mini budget has also been held in November. The budget speech is always carried to the House of Commons in a red briefcase, known as Ministerial Boxes, or Red Boxes’. 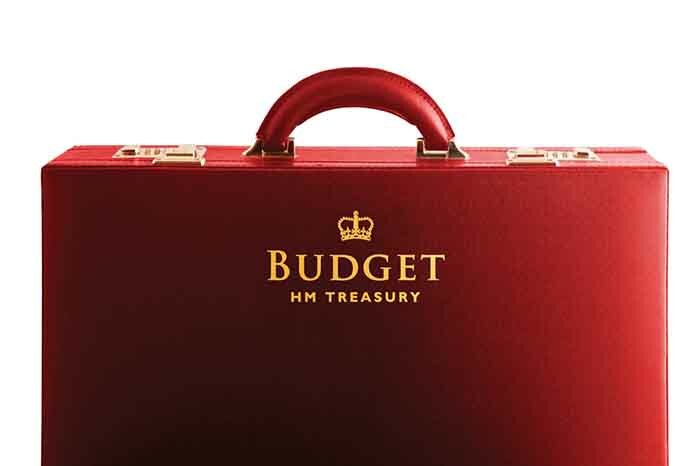 This red briefcase has become representative of the annual UK Budget. Historically, it dates back to the first use by William Gladstone in 1860. Pension pots should be taxed on death, the Institute for Fiscal Studies (IFS) has argued in its Green Budget. It described the system brought in with the pension freedom reforms as the “absurdly generous treatment of accumulated pension pots which are bequeathed”. The thinktank’s traditional pre-Budget report, published in association with Citi Research and the Institute of Chartered Accountants in England and Wales, said this is one of a series of possible measures for raising taxes on better-off pensioners, which would improve the efficiency of the tax system. 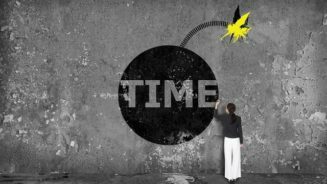 Pension experts have warned that a move to tax pensions on death would undermine many retirement plans, including those who might not have transferred out of defined benefit (DB) schemes. The IFS recommendation comes as chancellor Philip Hammond grapples with the need to raise a promised £20bn ($26.3bn, €22.7bn) extra a year for the NHS by 2023, but also to meet his ambitions for cutting the deficit. Among other controversial measures, the IFS said capital gains tax should not be forgiven on death and entrepreneurs’ relief should be abolished. It said that employee national insurance contributions (NICs) could be paid by those in work beyond state pension age and that there is a case for levying a low rate of NICs on private pensions in payment. It suggested that there was a case for reforming council tax, such as charging it at a rate proportional to house value rather than it being charged at lower rates on more expensive properties as currently, noting the doubling of council tax on the top four bands would raise over £8bn a year. The focus on wealthier pensioners contrasted with tax rises on the in-work wealthy. The IFS said it is riskier to try to raise substantial sums from those with current higher earnings given that a quarter of income tax revenue comes from just 0.6% of adults. It said there was the option of higher general taxation. “One way to increase spending while still bringing the deficit down is to raise taxes. Raising tax revenue by 1% of national income – enough to cover £19bn in new spending – would put the tax burden in the UK at around the highest level seen in the post-war era. Paul Johnson, director of the Institute for Fiscal Studies and an editor of the Green Budget, said: “The decision over the spending review envelope will probably be the biggest non-Brexit-related decision this chancellor will make. He has a big choice. He could end austerity, as the prime minister has suggested. “But even on a limited definition of what that might mean would imply spending £19bn a year more than currently planned by the end of the parliament. An increase of that size is highly unlikely to be compatible with his desire to get the deficit down towards zero. “Alternatively, the chancellor could stick to his guns on the deficit and leave many public services to struggle under the strain of a decade and more of cuts. He could reconcile these demands by raising taxes, and in principle there are plenty of good options, but the overall tax burden is already high by UK historical standards and he could be constrained by the lack of a parliamentary majority. Tom Selby, senior analyst at AJ Bell, says: “George Osborne’s decision to allow undrawn pensions to be passed on tax-free when the holder dies before age 75 was clearly a generous, pre-election gambit targeted squarely at older voters. 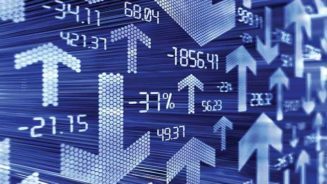 “The cost of this policy is likely to increase as thousands of savers have swapped their DB pensions for the flexibility of defined contribution (DC). It would be no surprise if Phillip Hammond, who has not been shy of departing from his predecessor’s policies, is now revisiting this decision as he looks at ways to raise extra cash. “This would potentially present a real problem for savers who have made decisions based on the existing tax treatment of DC pensions on death. Many DB members will have chosen to give up their guaranteed benefits because they want to prioritise passing on unused funds to loved ones.